Golf has long been considered a great way for business people to meet in a less formal setting. While deals may not actually be signed on the green, relationships and bonds are often developed. This makes the Golf course an excellent and unique location to promote your business, in a subtle yet effective way. Items like our hinge box, tee bar and markers are great either as gifts or for personal use, and will remain treasured items to the owner due to them being so handy. 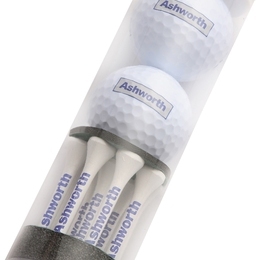 Branded Golf balls are also a great way of ensuring your business gets repeat exposure, a set of balls will often stay in someone’s golf bag for a long time, and will be used again and again on the green. We also offer other items which are great for the golf course, including sports bags, scoremaster holders and even custom printed water bottles. 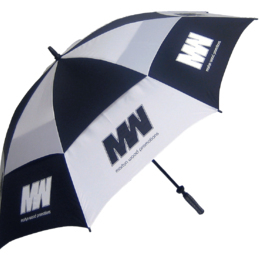 Our range of golf items and umbrellas are highly brandable and of the highest quality. Don't miss a great opportunity to be noticed on the golf course or indeed any setting. 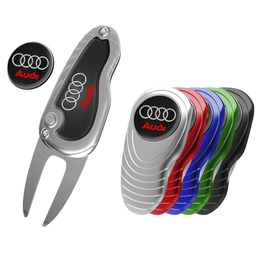 Our golf promotional items fit the bill to a tee!